1. I have received an email message as well as a SMS stating - “Please visit your Credit Ledger to see the amount of credit blocked for utilization by the jurisdictional tax officer.” What does this message indicate? Your Jurisdictional Tax Officer has blocked some ITC amount available in your Electronic Credit Ledger. Navigate to Services > Ledgers > Electronic Credit Ledger. You will notice the amount that has been blocked in your Electronic Credit Ledger by your Jurisdictional tax officer. 2. I am unable to utilize the available balance in my Electronic Credit Ledger? Why? The amount blocked by Jurisdictional tax officer would be reduced in your Electronic Credit Ledger, hence would not be available for utilization. 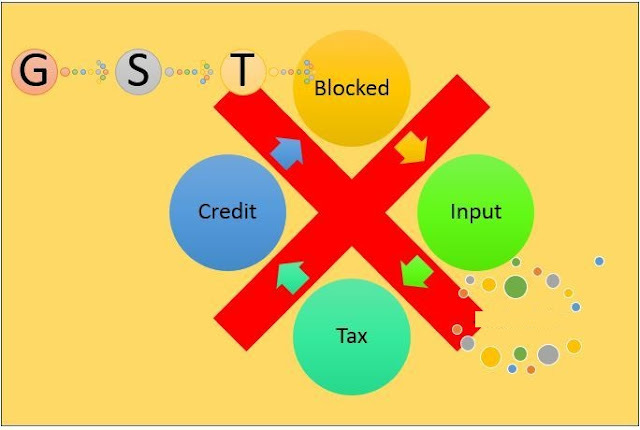 Balance amount of ITC, if any, after deducting the amount blocked by the officer, can be utilized as per credit utilization rules. 3. I can see some amount/ entire amount available in my Electronic Credit Ledger as blocked. Who has blocked it and Why? To avoid misuse of the ITC credit availed, your Jurisdictional Tax Officer has blocked the ITC available in your Electronic Credit Ledger at his discretion. Your Jurisdictional Officer at his discretion may block only CGST, SGST, IGST & Cess balance partly or fully. After scrutiny of the GST TRAN-1 and GST TRAN-2 or any other return or statement through which credit has been claimed, the Jurisdictional Officer may unblock the ITC. 4. What should I do in case my ITC has been blocked? Your Jurisdictional Officer may ask for certain clarifications based on the returns/statements you have filed and have claimed ITC. Please provide necessary information as may be asked by the Jurisdictional Officer. After scrutiny of the GST TRAN-1 and GST TRAN- 2 or any other return/ statement, the Jurisdictional Officer may unblock the ITC. 5. How will I know if my ITC has been unblocked? You will receive an email message as well as an SMS - “Please visit your Credit ledger to see the amount of credit unblocked by the jurisdictional officer.”. Navigate to Services > Ledgers > Electronic Credit Ledger. You will notice the ITC has been unblocked.